New Year's Eve is always one of the biggest nights of the season for fans of the Komets. This season, the atmosphere should be particularly electric. 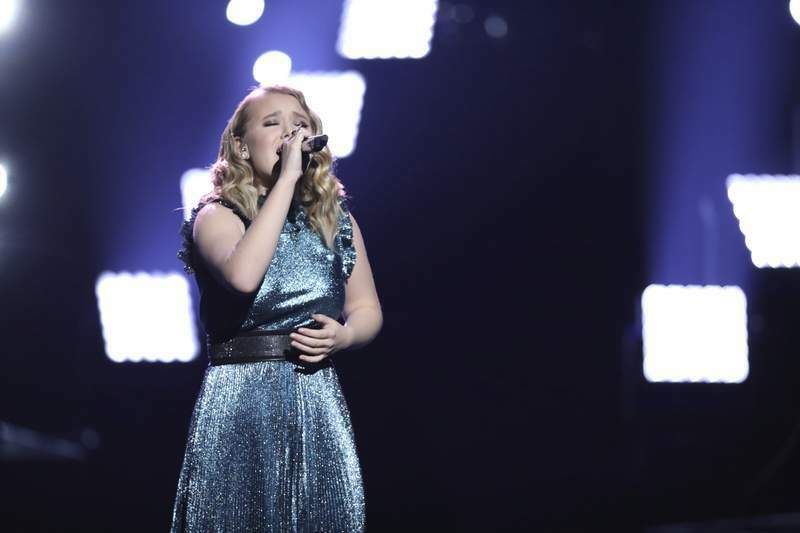 Addison Agen, the 16-year-old Concordia student who was the runner-up this month on “The Voice,” will sing the National Anthem at Sunday's game at Memorial Coliseum. Officials with the Komets and Agen's father, Morrison, confirmed the plans to The Journal Gazette today. “Obviously we're excited about having Addison join us to sing,” said Scott Sproat, the Komets' executive vice-president and co-owner. “She brought tremendous attention to the city of Fort Wayne. We are excited to give her a platform to sing here. She mentioned she really wants to thank the city of Fort Wayne, that she got as much hometown support as – maybe more than – any other contestant on 'The Voice' and this is an opportunity to thank the people of Fort Wayne for that. “This is an awesome synergy of all those things coming together. The Komets, who play host to the Wheeling Nailers at 8 p.m. Friday, will take on the rival Toledo Walleye at 7:30 p.m. Sunday. A crowd of at least 9,500 is expected for New Year's Eve. Traditionally, Tom Didier sings “The Star Spangled Banner” on New Year's Eve. He will remain involved, Sproat said, by singing the Canadian anthem. Tickets for the Komets' games are available at the Coliseum or through Ticketmaster.